This Lasius americanus worker hosts an Oplitis mite on her mid-leg. 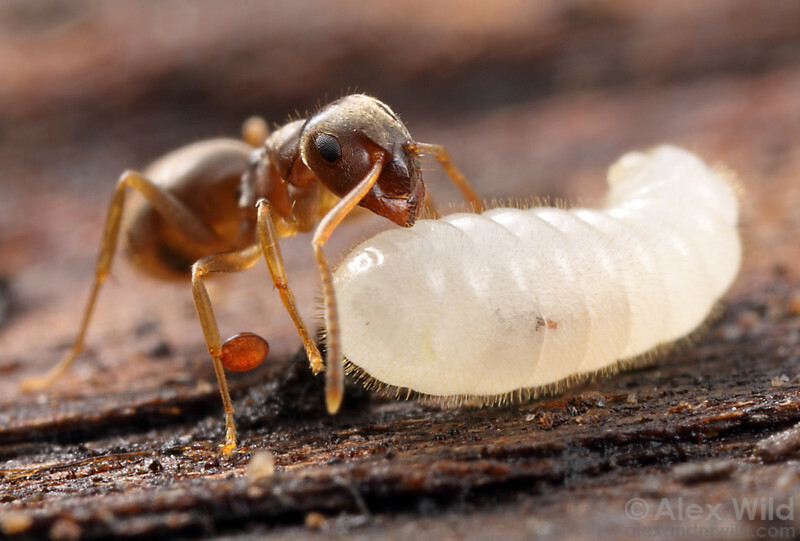 Mites are ubiquitous inhabitants of ant nests, although their biology and relationships to the ants is poorly understood. Illinois, USA.